Posted on January 29, 2012 by Jian Akiraceo. This entry was posted in Rant and tagged aftermath, Chinese new year, fat. Bookmark the permalink. HAHAHA! yes. 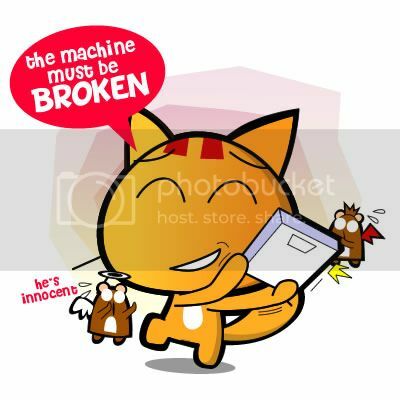 machine broken! mystery solved! i havent go measure…~~ CHAM liao..
i was 65 b4 CNY. Now 70!!!!!!!!!!!!!!!!!!!!!!!!!!!!!!!!!!!!!!! All because of the “bak poh” ! So…… Ringan XD… You spent your CNY sitting in front of tv eating cny goodies issit? omg.. wad did u eat in kch? must be the cny cakes, bak gua, keropok with acar & soft drinks?! Maybe that’s the reason why he changed the bed! ahaha! 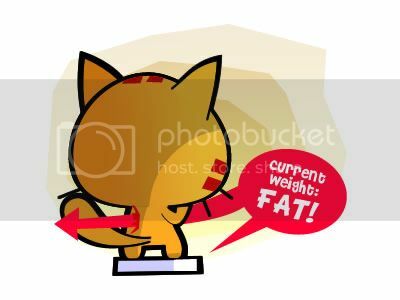 thats bad der.. be like me la… raya or tak raya my weight always increase.. wee~ seronok lorh! ahaha!! hahha but if the new year food is sooo nice. True or not? You still look slim le! only 4 kg..not so fat.